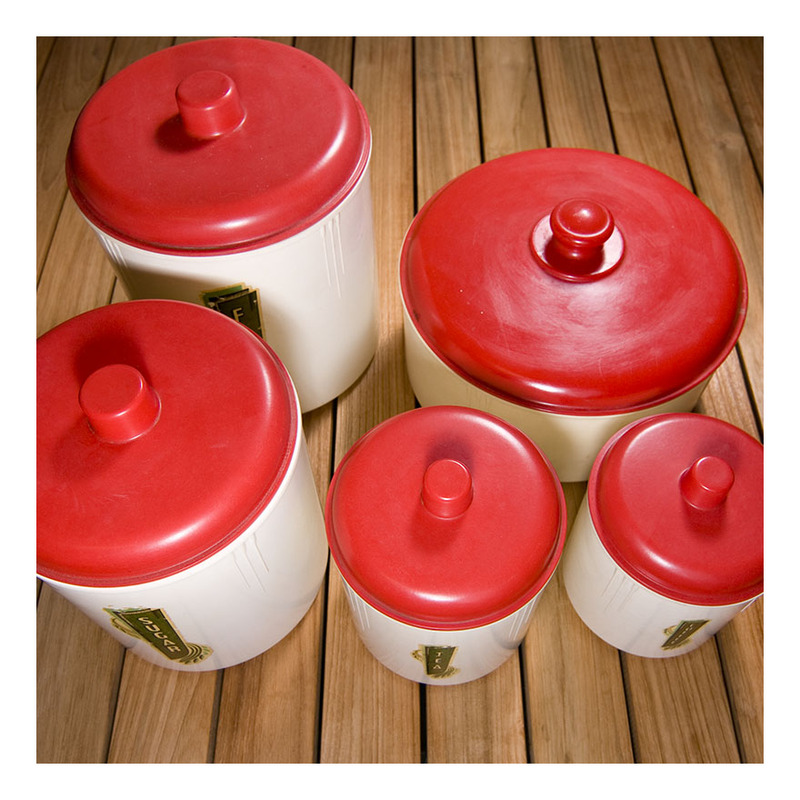 This is an unusual set of bakelite canisters- four are ‘nested canisters : flour, sugar, tea and coffee – and the fifth larger canister is for cake. 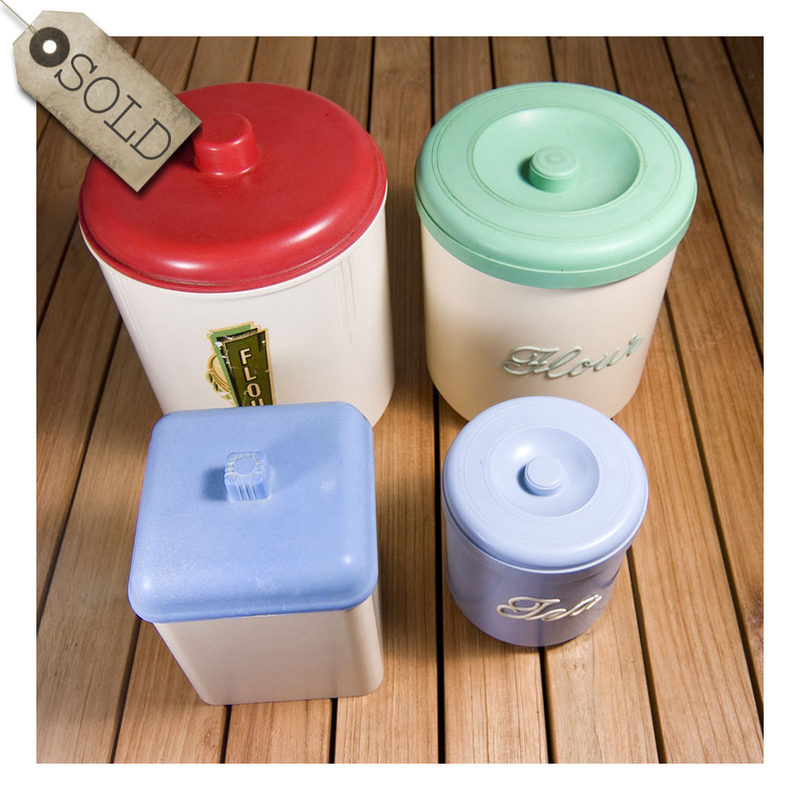 The nested canisters have transfer labels…somewhat scrapped from long years of service, but the cake canister is unlabelled. 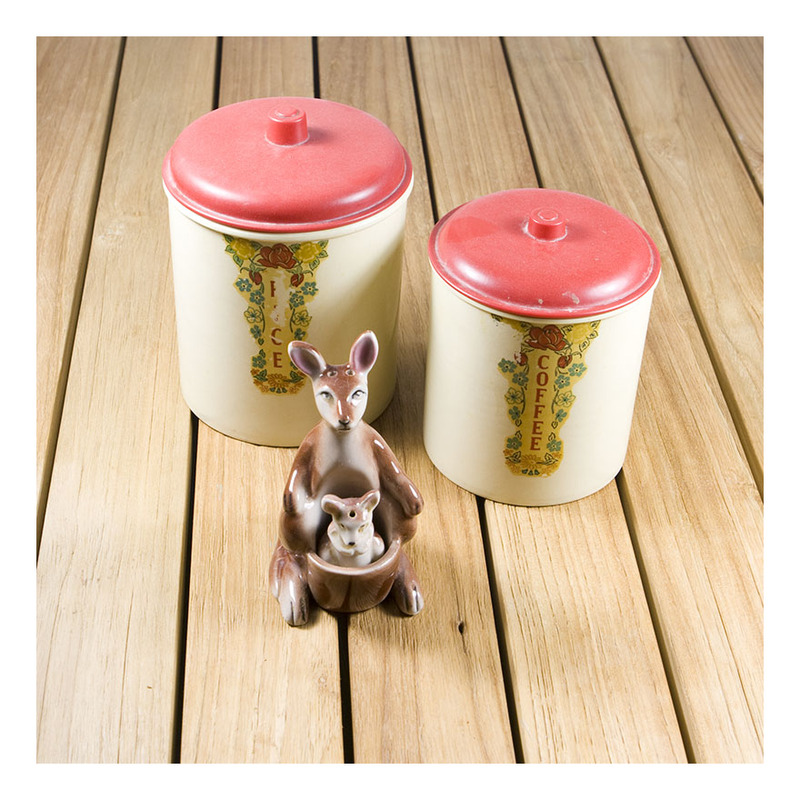 Maybe people just knew that the round, squat non-nesting canister was always for cake! 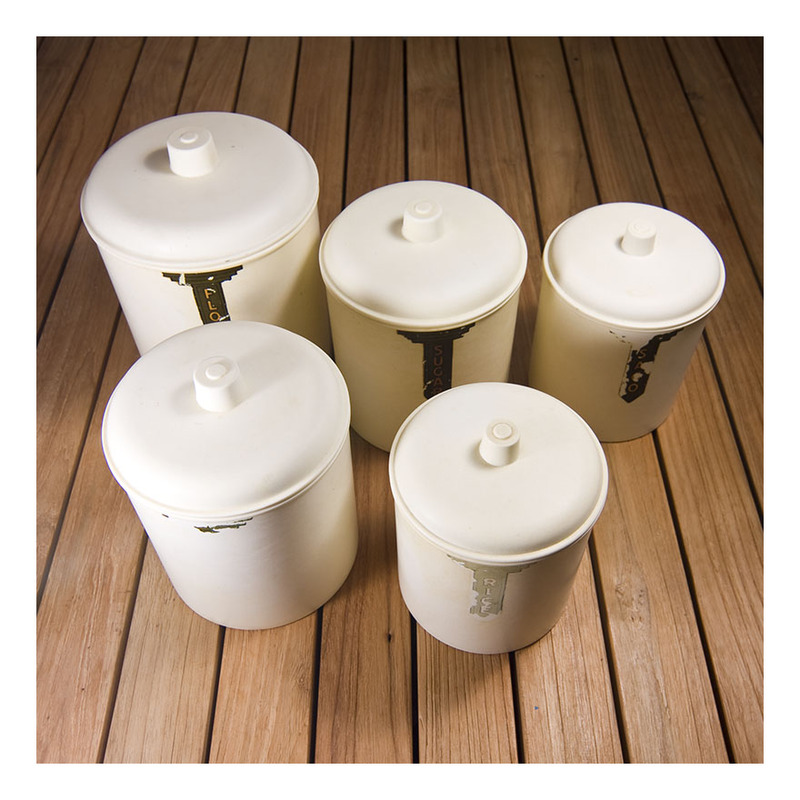 The canisters – and the labelling- have a somewhat deco styling which is somewhat late for the 1940s- but perhaps these canisters were themselves aiming for retro? 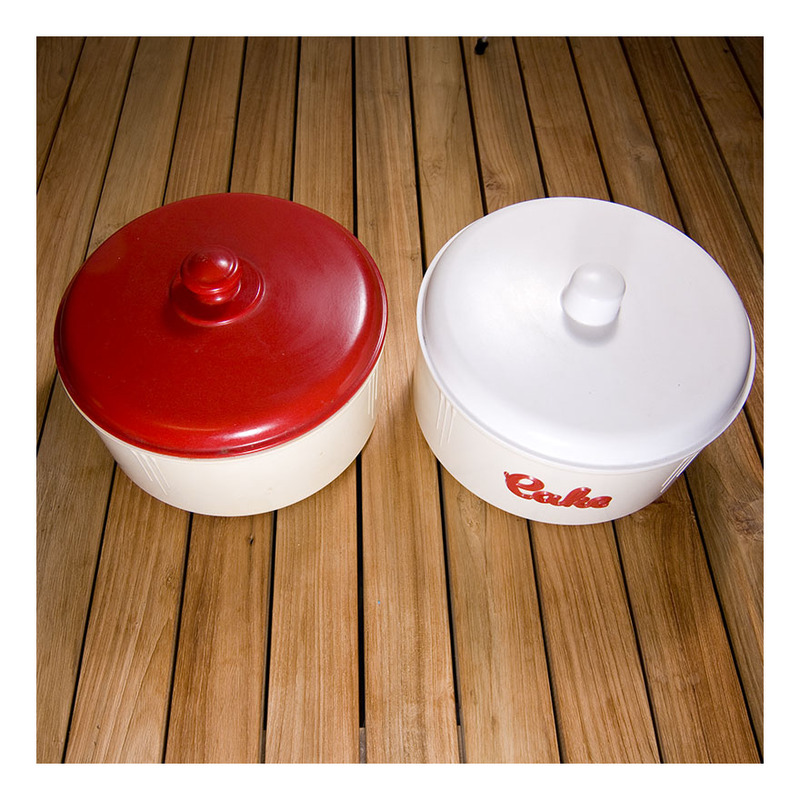 Either way, the creamy white bakelite contrasts nicely with the vibrant red bakelite of the lids. And it’s nice to have a complete, intact set.